At this lesson, we'll find out about the anatomy of the knitted fabric (cloth) and learn the basic terms. 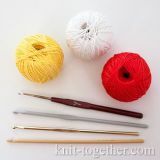 Any pattern knitted with needles is the composition of knit and purl stitches and their modifications. 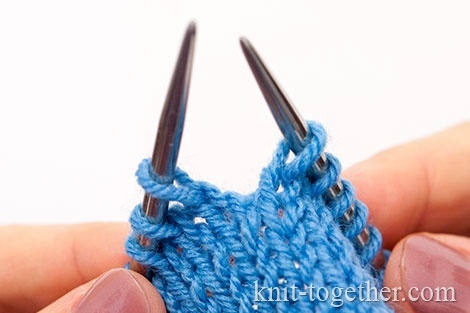 Classic knit and purl stitches are called main stitches. 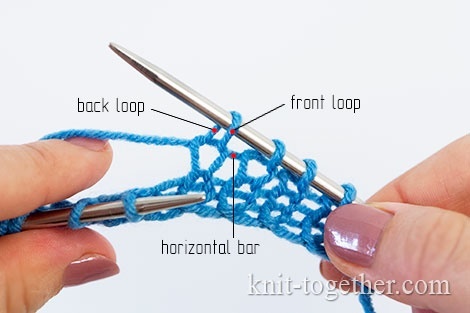 In a classic version, the loops of a stitch are parallel, and the right loop is located in front of the needle. 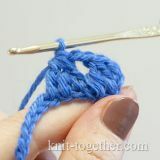 The part of the loop, which is located in front of the needle, is called the front loop or front leg of the stitch, and the part of the loop behind the needle is the back loop or back leg. A part of the needle between loops is called the horizontal bar or horizontal strand. 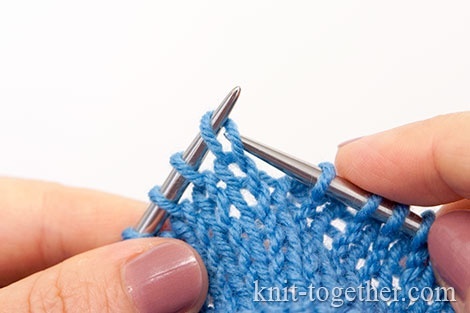 Compared to classic stitches, in twisted stitches, the left loop comes out in the front. 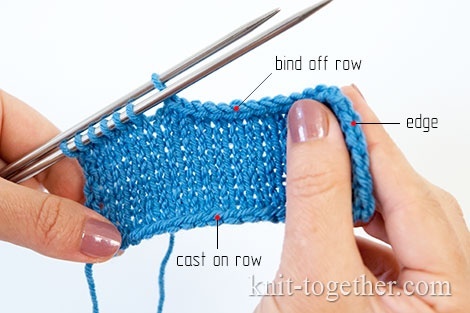 A twisted stitch is located on the left side, a classic stitch is positioned on the right side. 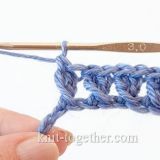 A twisted stitch in close-up. Odd rows are considered to be the right side rows, and even rows are regarded as the wrong side rows. 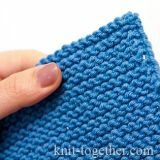 One and the same stitch on one side will be a knit stitch and on another side – the purl stitch. 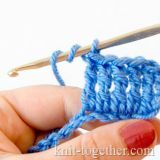 A knit stitch is smooth. 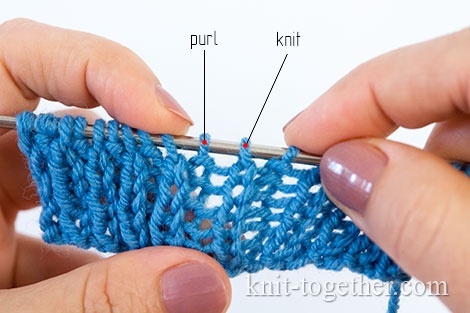 A purl stitch contains a transversal part of the previous row's stitch. Knitting starts with the cast on row. The side edges of a cloth feature the edge stitches (a border). 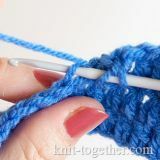 Knitting is completed by binding off the last row of stitches (bind off row). There are various methods both for casting on and binding off a row and making edge stitches. Later we will consider the most popular and convenient ones. Note! 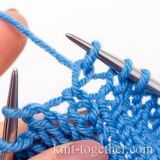 Please, remember that a cast on row and a bind off row as well as the edge stitches are not usually mentioned in the pattern charts.